Be flexible, be innovative, and you will discover numerous ways to engage students with technology. HKU TELI and the Knowledge & Education Exchange Platform (KEEP) of the Chinese University of Hong Kong (CUHK) jointly organized a seminar to share examples of effective teaching strategies, namely flipped classroom, mobile apps, visualization tools and gamification. Mr. Eddy Yet, Project Coordinator of KEEP, presents on CUHK’s innovative practices in online teaching. Flexibility: To maximize the potential of flipped classroom, course teachers can adopt various e-learning tools to cater to students of different levels. For example, the instructor of a General Education Course, In Dialogue with Nature, presented the course content in the form of (i) Core Videos (which all students need to watch) and (ii) optional Online Supplementary Materials (for high achievers and those who are interested in further exploring the topic). This method of differentiated instruction allows flexibility in learning. The course team also developed a “Reading Companion” mobile app, which helps students evaluate their own learning from time to time with knowledge checks and a mini-dictionary. Visualization: Often, a popular discussion thread in an online course contains over a thousand elaborated written responses. These responses are not effective if students do not read all of them. One solution is to introduce visualization tools, such as Sharing Board, where students illustrate their ideas with mind maps instead of words, or present data in word clouds. The KEEP team has witnessed successful examples of visualizing the course content and believes that this is an effective way to “summarize the learning content, and make good use of students’ input”. Professor Ricky Kwok, Associate Vice-President (Teaching and Learning) of HKU, introduces the course design of his Common Core course (Everyday Computing and the Internet). Professor Ricky Kwok, Associate Vice-President (Teaching and Learning) of HKU, strives to spend quality time with students during class. Hence, he worked with TELI and designed a board game as an in-class activity of his Common Core course, Everyday Computing and the Internet. Professor Ricky Kwok (Middle) guides students to play the board game in his class. The board game’s design is similar to that of poker, but is integrated with the course’s core concepts. To win the game, students need to first develop a good understanding of the course content by watching online explainer videos produced by the course team. The wish to win motivates students to actively participate in the board game, and therefore take greater ownership of their learning. Having moved the lectures online, Professor Kwok can give more quality time to each student in class to support his/her learning. He jokes that when students are competing in the board game, he becomes a “server”, walking around the classroom and answering students’ questions about the game as well as the course content by asking them, “How can I help you, Sir?” Professor Kwok found that students, in such a way, are more vocal in asking questions, increasing his interaction with students. Is the game interesting and goal-orientated? Does the game have a good pace? Do players have to spend much time to make one move? Is the game connected to the course content? It is always possible for educators, not just from HKU, but also from the other institutions, to digitalize, visualize, or even gamify their course content. Interested in bringing these ideas into your classroom? Don’t hesitate to contact us! 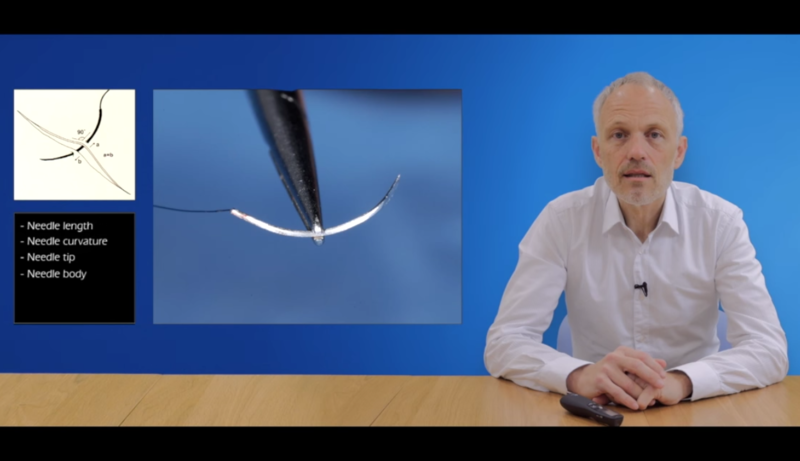 The world-class quality Implant Dentistry MOOC will be launching its re-run on 27 May 2019! During its first run in October 2016, over 7000 learners from 50+ countries enrolled. 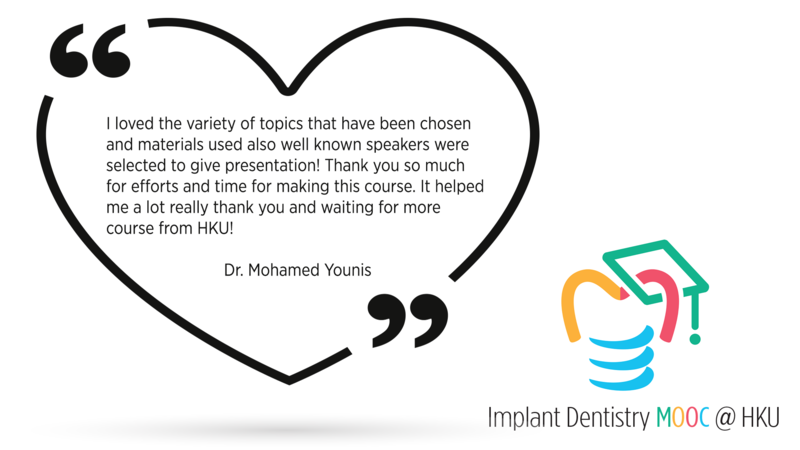 Launched by the HKU Faculty of Dentistry, ranked No.1 in the world in 2016, this MOOC is the 1st of the world in Implant Dentistry, offering an important supplement for dental professionals, practitioners and students. 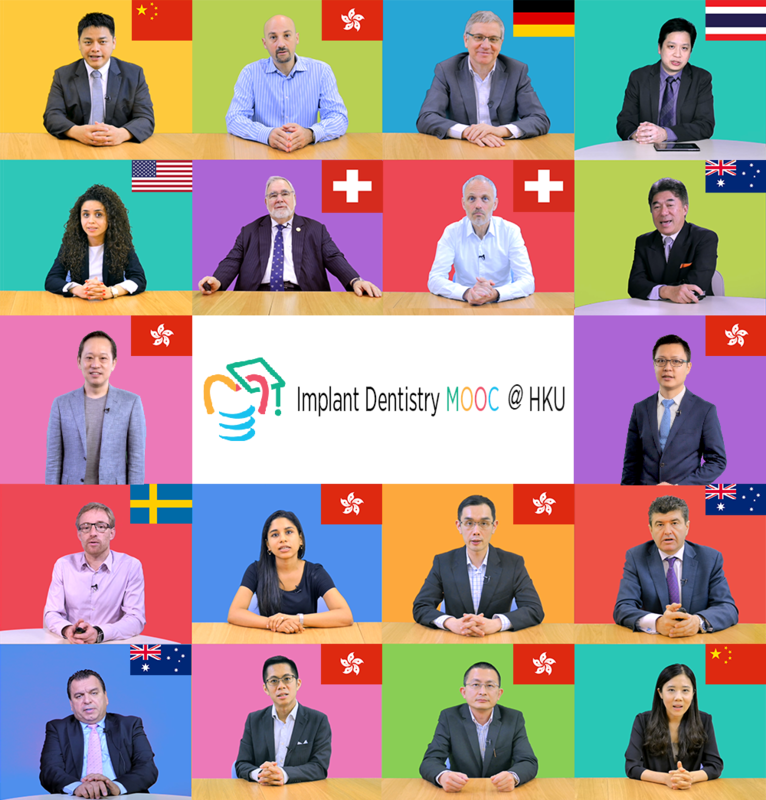 Why study an Implant Dentistry MOOC? 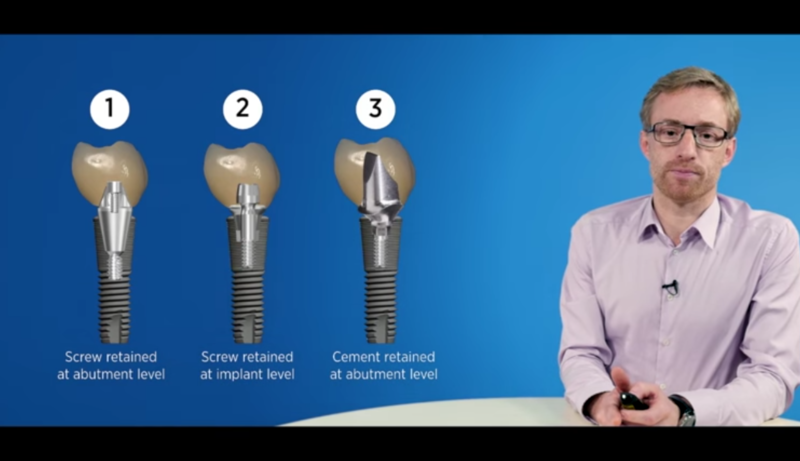 This MOOC, led by Dr. Mattheos, is taught by a stellar dream-team of almost 20 international experts in dental implants and reconstructions. Each week offers specialized knowledge and evidence-based practices for learners to engage with. The MOOC includes 5 modules and runs over a period of 5 weeks. We will begin the journey of Implant Dentistry by exploring how discoveries in biology and technological developments lead to the current practice of dental implants. Then, we will examine clinical cases, diagnose our patients’ needs and expectations and learn the principles of treatment planning. 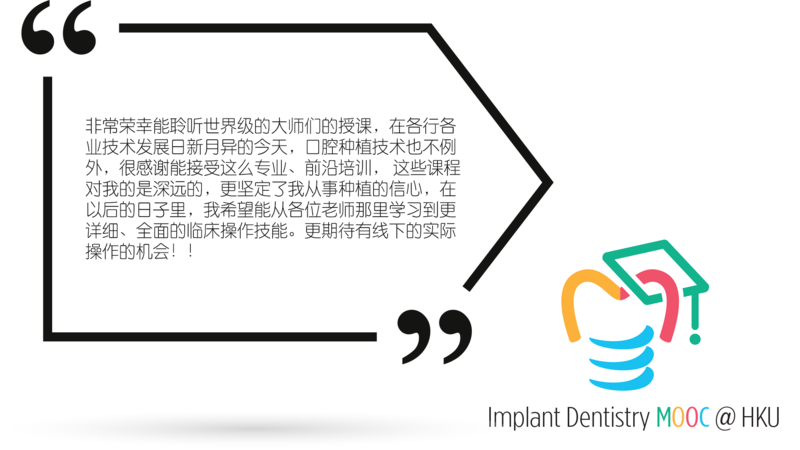 We will learn step-by-step surgical procedures for placing implants and various restorative techniques, directed by current evidence and best practices. 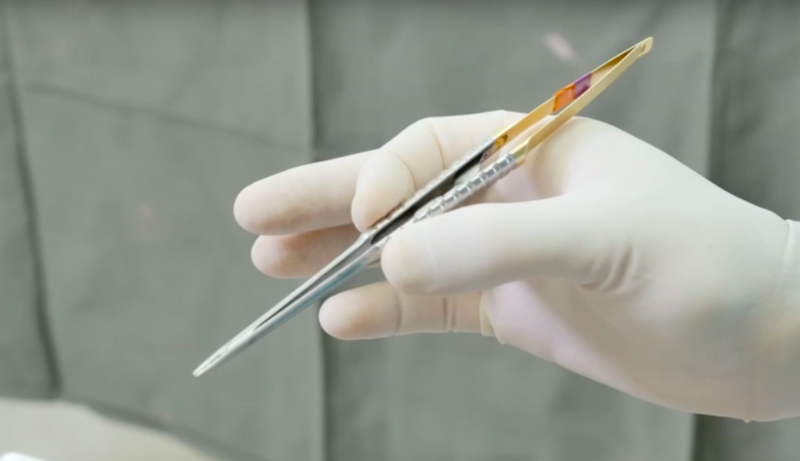 Finally, we will investigate major threats and complications of implant procedures and ways to ensure successful treatments and long serving implants. 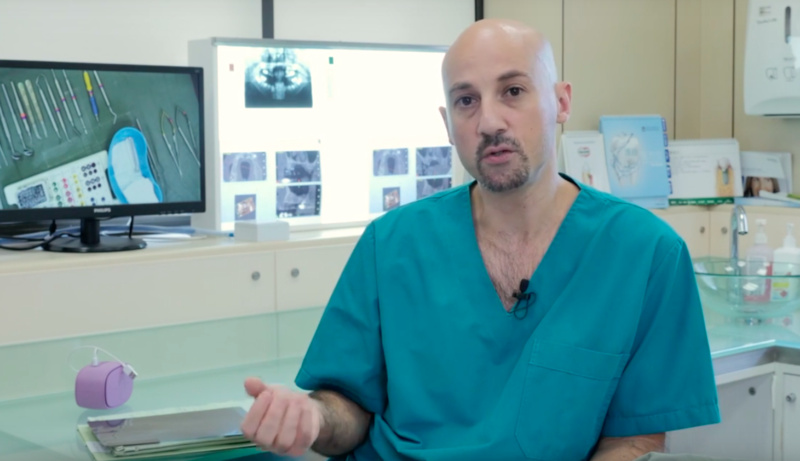 A New Lesson by Dr. Nikos Mattheos on Posterior Maxilla and Sinus Augmentations containing new video lectures, readings and assessment. 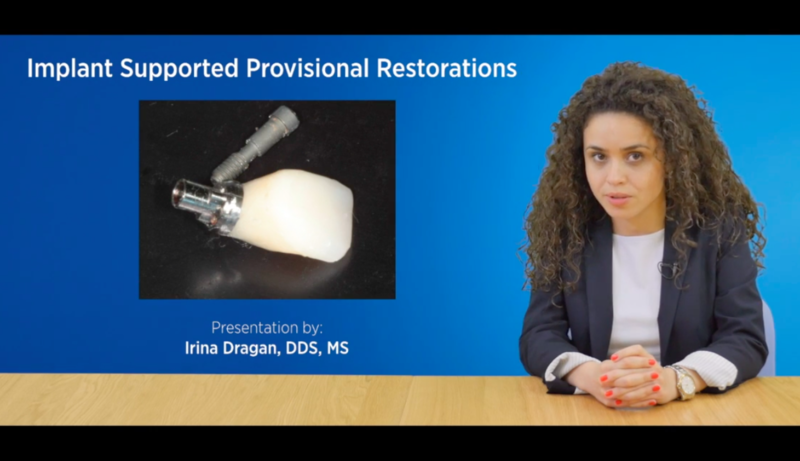 New Video Lectures and contents by dental surgeons and implant experts. New Clinical Patient Cases are added. You will meet two new patients, Tom and Lisa, and help them plan and execute the best treatment procedure for their missing teeth. 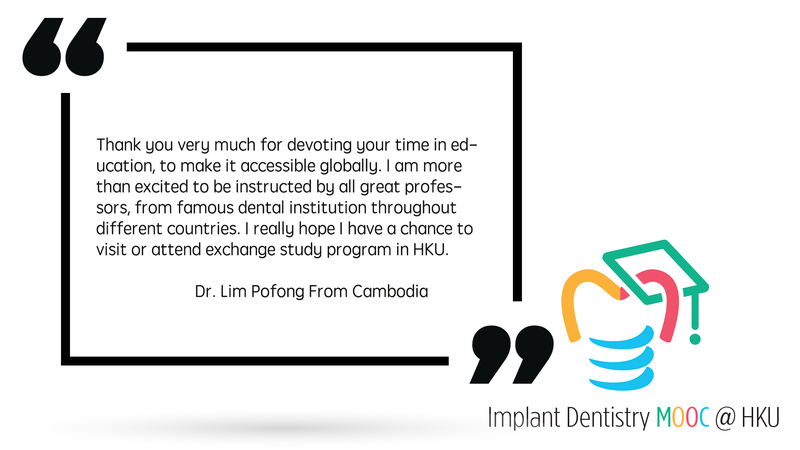 The first run created ripples of impacts to international communities, at not only universities and dental schools, but professional communities alike. Passionate learners in the Arabic community even formed a Facebook group, with over 900 members, where members shared notes with peers and translated the materials to Arabic. We also had a large proportion of Chinese learners, as professional organizations in mainland China spread our MOOC. This impact continues even after the end of the first run – where there are currently three volunteer groups translating the entire course into Chinese (supplementary materials), Russian and Arabic. Listen to our students and find out how they like our course! 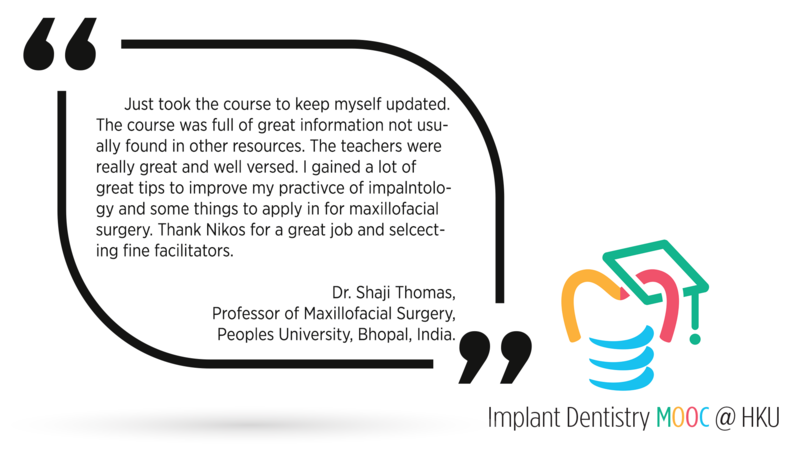 Register today to experience world-class Implant Dentistry education! Re-run begins on 27 May 2019. Follow us on Facebook and Twitter to get the latest updates! Two professors from American universities, Larry Hedges from Northwestern University (NWU) and Anant Agarwal from Massachusetts Institute of Technology (MIT) won the 2018 First Yidan Prize. 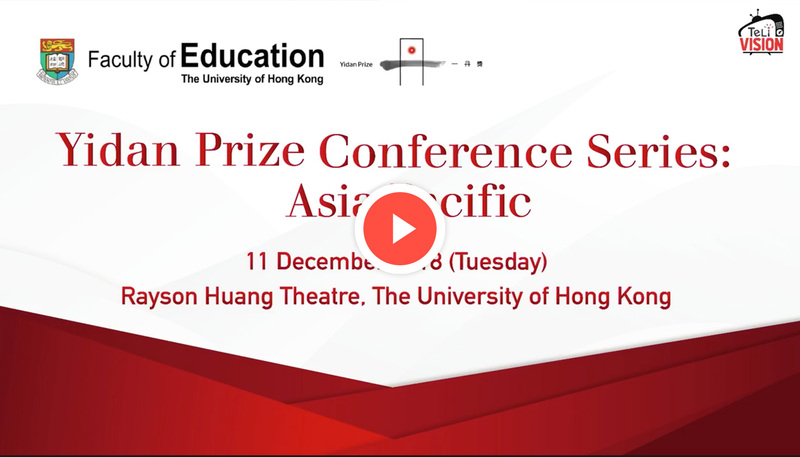 The Yidan Prize Conference Series: Asia-Pacific was held at HKU on 11 Dec to honour the two Yidan Prize laureates. This is the first time the Department of Education at HKU partners with the Yidan foundation to host the Yidan Prize Conference. HKU TELI livestreamed the event for hundreds of viewers to watch this real-time. The Yidan Prize is one of the world’s leading educational award, and some compare it to a Nobel Prize in Education. The Yidan prize was founded in 2016 by Dr. Charles Chen, the co-founder of Tencent. Every year, the prize is awarded to two individuals or organizations in recognition of their distinguished contributions to education research and education development and in particular, their forward-looking innovations that create profound impact on education for a better future. Professor Xiang Zhang, President and Vice Chancellor of HKU addressed the mission of the Yidan Prize is to create a better world through education, “there are many pressing issues that we will be facing in the 21st century, what the world needs is a big idea, what the world needs more is a bright mind that creates many big ideas.” Professor Zhang said, we at HKU share with the Yidan Prize foundation in creation of a better world with education. Professor Xiang Zhang (President and Vice Chancellor of HKU) addressed the mission of the Yidan Prize. Professor Larry Hedges (Yidan Prize for Education Research Laureate 2018) talked about the importance of scientific evidence in education practice and policy making. 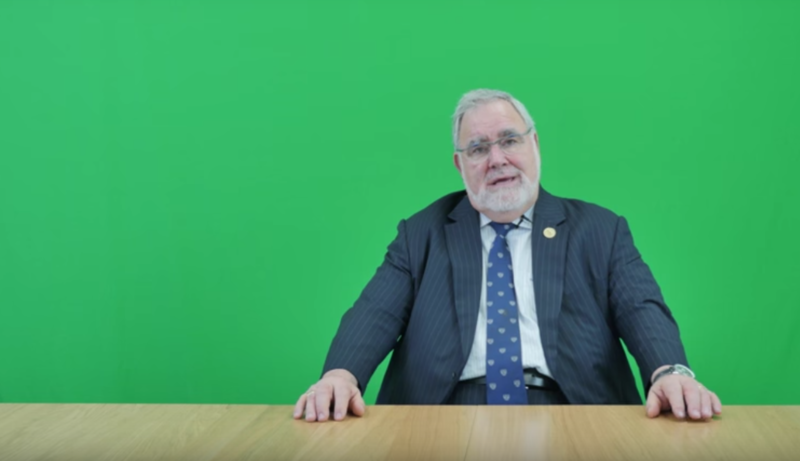 “To understand education, we have to pay attention to the system and all its interlocking features and we have to apply the best available scientific methods.” He suggested education and the future system will be enhanced by a culture of scientific research evidence in education embraced by policy makers, teachers, investigators and administrators. The Yidan Prize for Education Development Laureate 2018, Anant Agarwal, Professor at MIT and the Founder and CEO of edX, said in his keynote speech that, “few would argue about the statement: Education is a human right and all should have access to it.” And true to his statement, he founded edX, an online platform that provided free learning and is serving 19+ million learners around the world today. edX partners with the world’s 140 leading institution partners, among many others, the University of Hong Kong, in offering 2400+ higher education courses to global learners. Apart from the edX platform, edX also offers an open-source platform Open edX and HK MOOCs to thousands of education institutions in the world. Professor Agarwal has an ambitious goal of reaching 1 billion learners in the future. 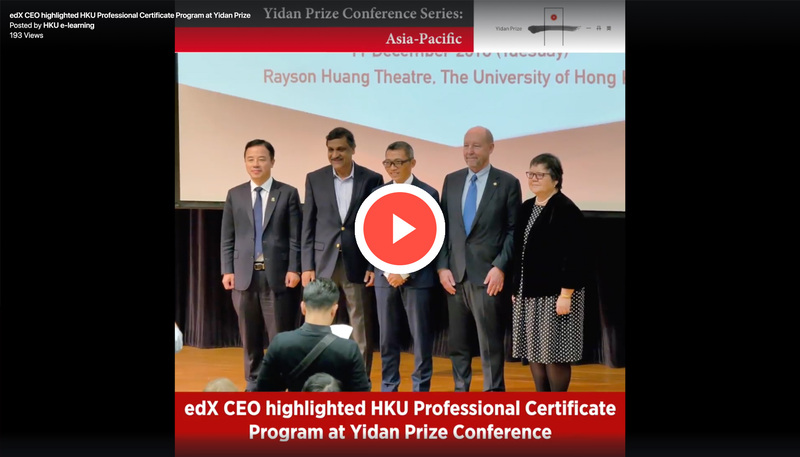 Professor Anant Agarwal (Yidan Prize for Education Development Laureate 2018) mentioned edX partners with the world’s 140 leading institution partners, including HKU to provide global online courses. What does Professor Agarwal think the future of education will look like? He showed the audience five ‘Reimagine Education Goals for 2022’ and challenged all partnering institutions to achieve those goals with edX. The five ‘Reimagine Education Goals for 2022’ that Professor Agarwal presented at his keynote speech.